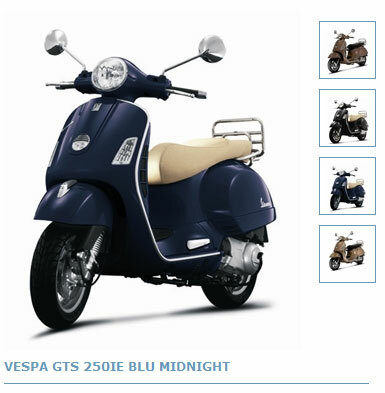 The Vespa GTS 250 led the field in the 250cc category by being the first to meet the stringent Euro 3 emissions standards and without compromising on power or performance. With 12” wheels and powerful front and rear disc brakes for supreme handling, the Vespa GTS 250 also features a unique analogue digital display panel and a wide, racy saddle. Whether cruising on the motorway or whizzing through town, the Vespa GTS 250 has got what it takes to get you there in style.